Beyond: Two Souls tells stories. The promotional descriptions for this game all seem to echo a similar sentiment: control protagonist Jodie Holmes through a non-linear series of events so emotionally devastating, so incredibly audacious, that no video game has dared to explore them. In this case, David Cage and developer Quantic Dream seem to be stating an opinion about their game. 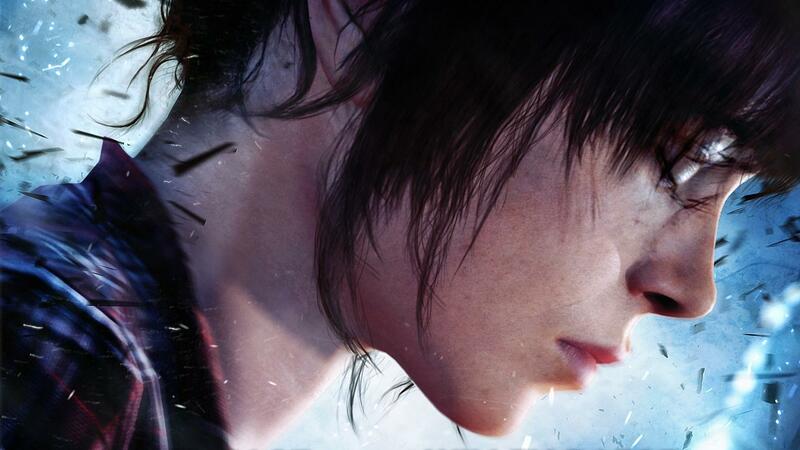 Beyond: Two Souls tells stories, and those stories are thought to be powerful and moving by their creator. This is obvious when you look at the amount of time the game spends on its story. I would say almost eighty to ninety percent of Beyond is story, while the rest is action. The action in the game is done using “quick time events,” which have been popular since Shenmue. Given that the game spends a lot of time on its story, it is a foregone conclusion that that story is good. Why else would they spend so much time on it? I give Beyond’s story a 5/5. The presentation in Beyond looks better than the presentation from Quantic Dream’s previous games. It is better than Heavy Rain, much better than Indigo Prophecy, and infinitely better than Omikron: The Nomad Soul. This is good, because video games should look better and better as time marches forward. There are many pixels on the screen at once. This is most evident when Jodie or Nathan is there. That is because they are played by Ellen Page and Willem Dafoe, and the pixels align to make them look like Ellen Page and WIllem Dafoe. They, along with the other actors, say their lines without forgetting them. The audio is crisp so that you can hear them talk. If you are deaf, Quantic Dream has made great strides in accomodating you, by including subtitles in both English and French. This is a very smart idea. I give Beyond’s presentation a 5/5. The controls in Beyond are not like the controls in other games. Sometimes you can’t move Jodie by pushing the analog stick, because it is in a cutscene. There are a lot of cutscenes. The action is controlled by the previously mentioned “quick time events.” These work, but they lack the variety and precision of something like Call of Duty 3. It is worth noting that you spend less time playing Beyond than you do watching it, which makes controls less of a priority. This is good, seeing as the controls are objectively worse than Call of Duty 3. I give Beyond’s controls a 3/5. The most important part of any game is how much value you will get by purchasing it. This is a universal truth. Beyond took me about 10 hours of time to complete, but there are branching paths and collectibles. I would say you could probably spend 20 hours playing Beyond if you wanted to. Using our patented time/value formula, that comes out to about 3 dollars per hour. This is a good value. Especially compared to the movies, which may charge you upwards of 10 dollars for an hour and a half to two hours of entertainment. I give Beyond’s value a 4/5. The second most important part of any game is the fun factor. Webster’s Dictionary defines “fun” as: “an enjoyable or amusing experience.” The act of enjoying something is inherently subjective, and as such it does not have a place in this review. Ultimately, Beyond is a game that you should play. I know this because I am going to give it a 4 out of 5, which is a good score. Objectively good, I mean. You should play it because it’s objectively good. If it weren’t objectively good, I wouldn’t be giving it a 4 out of 5, which is what you’re scrolling to the bottom of this page to see anyway. It is important to remember that I bear no responsibility should you dislike Beyond: Two Souls. If you dislike Beyond: Two Souls, you are disagreeing with an unbiased assessment, also known as objective fact. That is your problem, and not mine. My review exists purely to give a reasonable breakdown of what is unassailable about Beyond: Two Souls. I accomplish this by telling the majority of people what they want to hear. You can follow Evan Tognotti on Twitter (@evantognotti). He wishes all of his reviews were this easy to write. In all honesty this is the type of review that I like / NEED. I want objective points first and then subjective opinions. Great review, it is easy to get washed up in the hype just as easy is it to be against the world and go out of your way to find faults. I will be coming to this site for reviews from here on out. Logical fallacy at the beginning. I could spend a lot of time on a painting, doesn’t make it a good painting. Story in and of itself MUST be subjective.